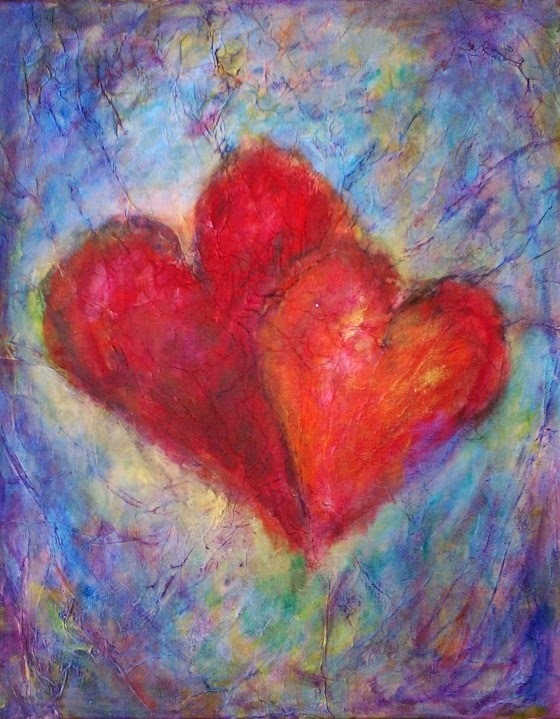 I believe our ability to carry on as caregivers comes from the spirit within us. Many of us realize, later on, that our dormant spirit was re-enlivened and reinvigorated. 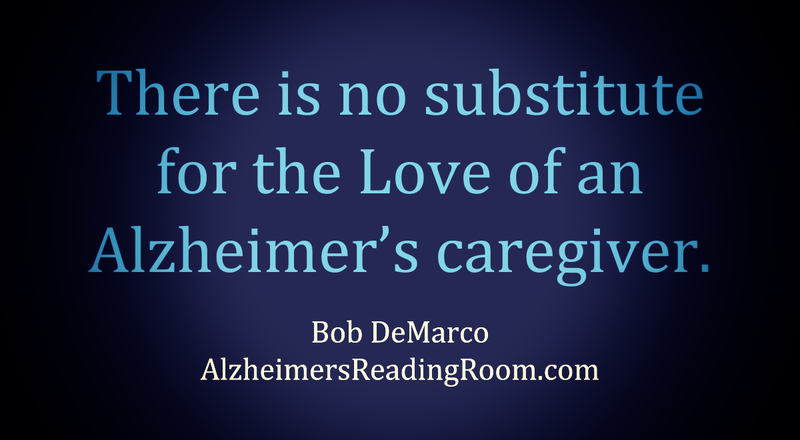 I continue to think about Alzheimer's caregivers, and Alzheimer's caregiving every single day. I think about Alzheimer's as soon as I wake up, and sometimes right before I fall asleep, and often during the day. I have not forgotten about all the wonderful support, kindness, prayers, and encouragement we received while I was taking care of Dotty. I understand as well as anyone the importance of support. Listen to the Podcast version of this article. I know what caregiving feels like. I took care of my mom, Dotty, for eight and a half years, 3,112 days. I understand how caregivers feel. I understand because I was an Alzheimer’s caregiver. It is my belief that we are special. During our time of caring we accomplish more than most people will ever imagine. In order to care we must reach deep. We reach down into our spirit and we activate the soul within us. I want to make something clear. No matter what path you take -- stay at home caregiver, use adult day care services, or place your loved one in a specialized memory care facility you are on the job. We rise up with an intestinal fortitude that is often unexpected by others. And sometimes, even unexpected by ourselves. How do we do it? One simple reason. Perhaps we prepare for our ONENESS over the course of our lifetime without ever realizing it. Some of us might conclude -- this is our purpose in life. After all, what could be more meaningful and purposeful than caring for someone who needs us so much? As caregivers, we lead a meaningful and purposeful life. Alzheimer's caregivers relearn how to think, and relearn how to feel. I mean this in a very important and real way. There is nothing stronger than the feeling of love. the strength to carry on. I continue to learn and I continue to think about Alzheimer's disease. I don't know if that will ever end. It won't be happening any time soon. So my fellow companions, my fellow dementia caregivers, I say. God bless you, and God bless your loved one. I am surprised by the fact that I continue to get new ideas and new perspectives all the time. 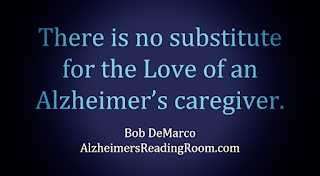 We have over 30,300 members of the Alzheimer’s and dementia communities who are avid readers in the Alzheimer’s Reading Room. We offer a free subscription service. *** Soul the spiritual part of a human being regarded as immortal.